NDM Heath Ltd. is a small consultancy providing sustainably energy services to a wide range of clients. Our aim is to provide a realistic service, identifying solutions that fit both the building and the end user, accounting for the complexities of upgrading existing, occupied housing stock and the challenges of achieving compliance while realising predicted savings. 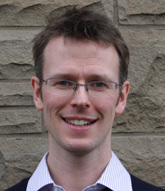 Nicholas Heath MA MSc is a Certified Passivhaus Consultant and Founding Director of NDM Heath Ltd, which he established in 2013 after more than ten years in the existing buildings sector. Nicholas has a wealth of experience in the challenges of achieving meaningful building upgrades that address environmental, economic and social agendas. In particular, he has a special expertise in the challenges and solutions for traditional and historic building stock. Nicholas is the author of numerous traditional building retrofit guides, technical papers, planning guidance and research reports, and has extensive experience of technical training development and delivery. He has led several award-winning retrofit projects, which have led to changes in local planning policy and are regarded internationally as examples of best practice in low-energy building retrofit. Nicholas has led high-profile research into solid wall insulation on traditional buildings, and has worked with several local authorities and social housing providers to develop city-wide strategies for the responsible retrofit of traditional buildings. He has worked nationally and internationally with a wide range of public and private clients including the Scottish Government, English Heritage, Historic Scotland, UNESCO, EST, CITB, RIBA, RICS, STBA and SPAB, as well as numerous architect firms, local authorities and housing associations, universities and community groups. Nicholas is Associate Director of the Sustainable Traditional Buildings Alliance (STBA), Affiliate of the Institute of Historic Building Conservation (IHBC), Fellow of the former Centre of Refurbishment Excellence (CoRE), Member of the Association for Environment Conscious Building (AECB) and Steering Group member of the Green Register. He is also a part-time lecturer at the University of York, designing and delivering a core module of their highly-regarded Architectural Conservation MCs course. In addition, Nicholas is a licenced PHPP, SAP, RdSAP and BREEAM Domestic Refurbishment Assessor, providing both new-build and existing building energy audits, EPCs and upgrade strategies for the public and private sectors. "Nicholas Heath has an enormous amount of knowledge and experience in the field of retrofitting historic buildings, and his work demonstrates an in-depth understanding of the complexities surrounding this subject"